Radish sprouts are crisp & slightly hot & tangy, like tiny radishes. 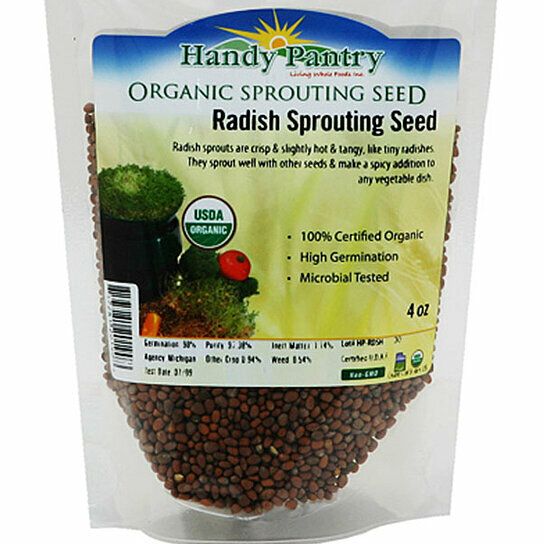 They sprout well with other seeds & make a spicy addition to any vegetable dish. 2 Tbsp. Yields approximately 4 cups of sprouts.